Deborah Russell and Sheri Martin scored 0.54 masterpoints with a 50.11% game at Bridge On Shea. See full results of this game. Marc Raphael and Pat Turberg scored 1.62 masterpoints with a 57.12% game at Bridge On Shea. See full results of this game. Marc Raphael and Carole Silverstein scored 0.67 masterpoints with a 52.55% game at In Tempo Bridge Club. See full results of this game. Linda Mitchell and Don Housley scored 1.10 masterpoints with a 57.37% game at Bridge On Shea. See full results of this game. 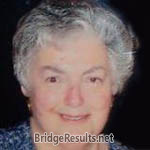 Ned Kohler and Marianne Spanier scored 0.37 masterpoints with a 55.24% game at Bridge On Shea. See full results of this game. Steve Weiner and Mark Litterman scored 0.29 masterpoints with a 53.24% game at Bridge On Shea. See full results of this game. Mark Litterman and Shelley Housley scored 1.42 masterpoints with a ★60.27%★ game at Bridge On Shea. See full results of this game. Andy Neugarten and Deborah Russell scored 0.90 masterpoints with a 50.4% game at Bridge On Shea. See full results of this game. 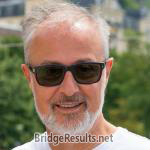 Steve Weiner and Renay Weiner scored 0.48 masterpoints with a 55.21% game at Bridge On Shea. See full results of this game. Marc Raphael and Dena Goldston scored 6.00 masterpoints with a ★61.36%★ game at Bridge On Shea. See full results of this game. Don Housley and Edward Schwartz scored 1.20 masterpoints with a ★64.93%★ game at Bridge On Shea. See full results of this game. Deborah Russell and Francine Dobkin scored 0.61 masterpoints with a 49.13% game at Bridge On Shea. See full results of this game. Don Housley and Edward Schwartz scored 1.42 masterpoints with a 58.44% game at Bridge On Shea. See full results of this game.